New Cast iron radiator retaining 245mm wall stays. These cast iron radiator retaining wall stays are used to secure our cast iron radiators to solid walls as opposed to studded partition walls. We recommend a minimum of 1 retaining stay for cast iron radiators up to 10 sections & 2 for longer radiators to help protect pipe work. More can be used if required. 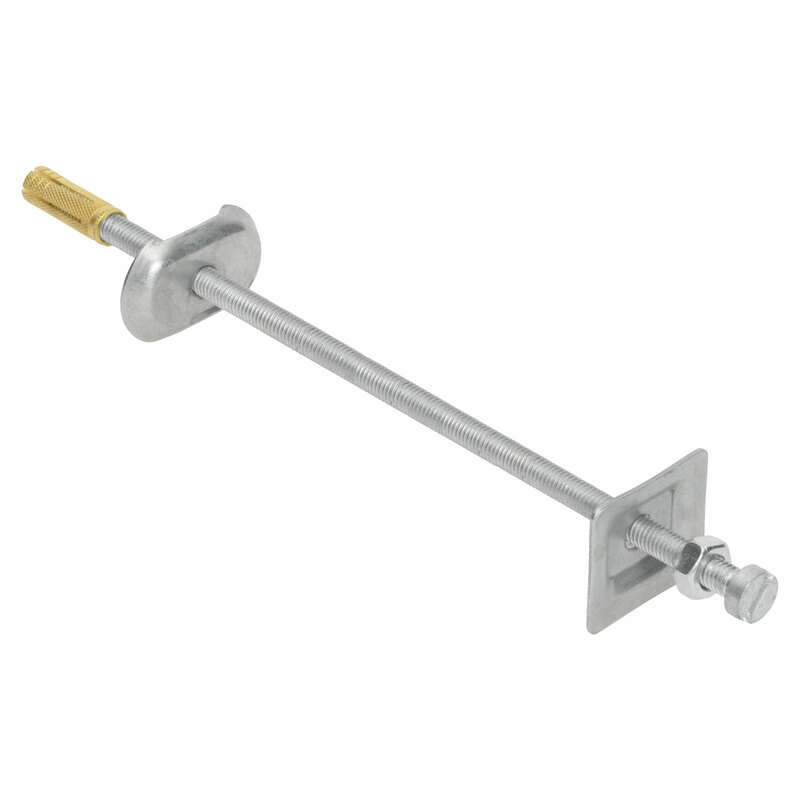 Made from steel with a threaded rod which is approx 245mm long x 8mm, brass rawl plug for solid brick walls and adjustable plates for fine adjustment. You can easily cut the threaded bar to suit the length required. You don't really see these, so decided on the simplest option. Does the job and easy to install. We're pleased you would like to review Straight Wall Stay. I'm delighted with the two radiators I purchased. Very stylish and greatly admired. This inexpensive, straight wall stay does the job. Good service , quality product ,fair price what more can I say !